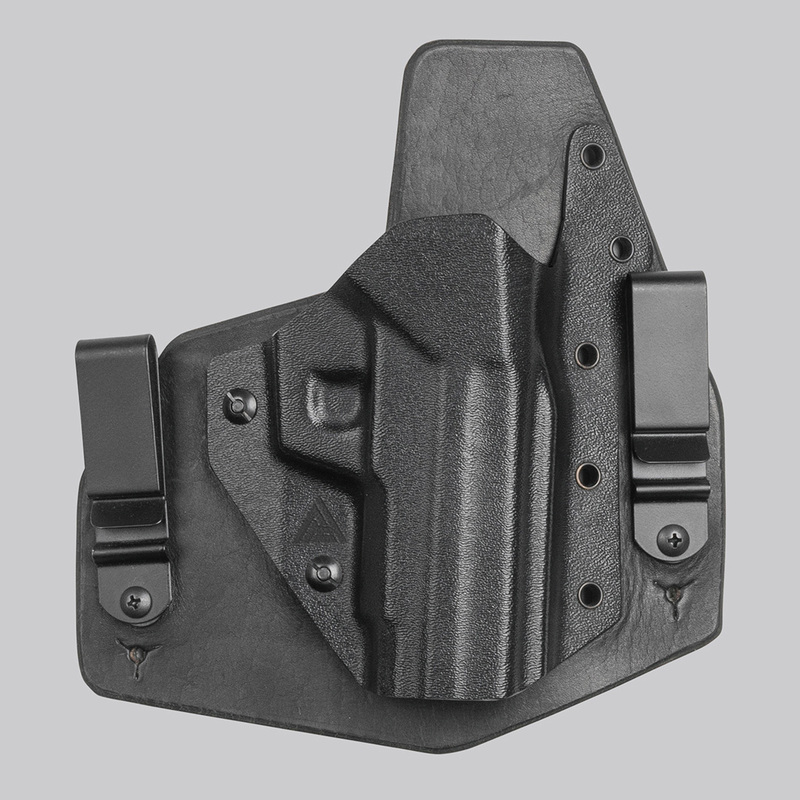 IWB holsters are a very personal thing – as you’d expect when carrying a loaded firearm in your pants. We’ve been through it all – and here is what we think is a best, most comfortable solution: A Hybrid design. IWB holsters are a very personal thing – as you’d expect when carrying a loaded firearm in your pants. We’ve been through it all – and here is what we think is a best, most comfortable solution: A Hybrid design – with solid bull hide shielding your skin from the weapon and providing carrying comfort while heat molded Kydex shell takes care of proper gun retention, repeatable draw and re-holstering angle. It works best for 3/4/5 o’clock carry on your dominant side.